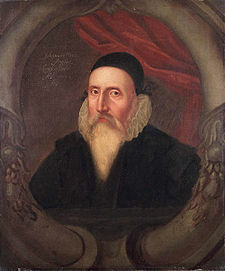 In this episode I discuss Dr John Dee with his biographer Benjamin Woolley. We discuss various aspects of his life including his magical and alchemical career, the enochian language, Dee in Shakespeare, and the expanding of the English empire. Benjamin Woolley is an award-winning writer and broadcaster. He is the author of the best-selling The Queen’s Conjuror: The Life and Magic of Dr. John Dee and Heal Thyself: Nicholas Culpeper and the Civil War for the Heart of Medicine in Seventeenth-Century England. His first book, Virtual Worlds, was short-listed for the Rhône-Poulenc Prize and has been translated into eight languages. His second work, The Bride of Science, examined the life of Ada Lovelace, Lord Byron’s daughter. He has written and presented documentaries for the BBC on subjects ranging from the fight for liberty during the English Civil War to the end of the Space Age. He has won the Arts Journalist of the Year Award and an Emmy for his commentary for Discovery’s Three Minutes to Impact. He lives in London. This entry was posted in podcast and tagged Crowley, Enochian, John Dee, magic, Queen Elizabeth, skrying. Bookmark the permalink.